Coharie tribe members and local volunteers plant cabbage, broccoli, and kale in the tribe's six-acre community garden. In a state steeped with food and agriculture, the Coharie tribe’s sorghum tradition is one of many that makes up North Carolina’ rich history and culture — but their story is rarely told. UNC senior Sierra Dunne wants to help change that. To help expand knowledge about the Coharie tribe and Native traditions in North Carolina, Dunne filmed a documentary focusing on the garden where the tribe comes together to grow the food feeding their community, nourishing both their physical and spiritual health. Dunne first met members of the Coharie tribe while on last year’s Food for All service-learning spring break trip, which helped students explore North Carolina’s diverse food systems from the coast to the mountains. 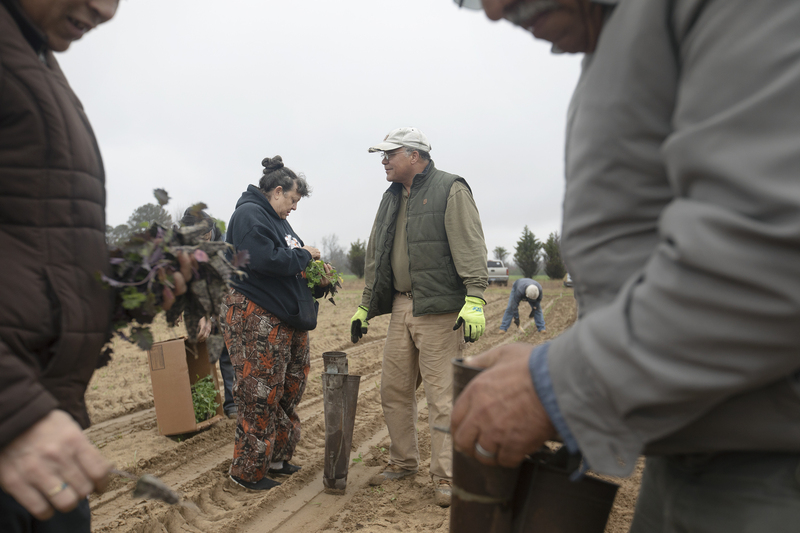 They stopped in rural Sampson County, one of the most prominent agricultural counties in the state, where they spent an afternoon helping the tribe prepare potatoes for planting. Jacobs introduced Dunne — her video camera in hand — to those gathered there. “She asked permission to have a conversation with some of our elders and other community members who were sitting around cutting the potatoes,” Jacobs says. “Of course, they enjoyed sharing their talents and the information that they had gathered over the years.” Dunne had just received a Summer Undergraduate Research Fellowship to study women in agriculture, but after her visit, she decided to completely change the course of her research. Sierra Dunne films community members working in the Coharie tribe garden. A few weeks later, Dunne reached out to Jacobs and asked to come back and make a documentary with the tribe. 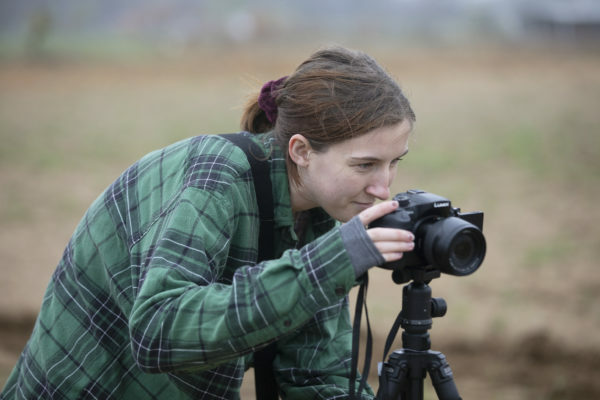 Through the film, she strives to show North Carolinians the lessons the Coharie can teach, from caring for nature to caring for neighbors. “It’s important for people to learn about different cultures, especially the ones in the state that they grew up or reside in,” Dunne says. She hopes her project will not only do this, but, on a larger scale, help people understand the diversity and richness of the South. Dunne was especially interested in filming the community garden. It began a few years ago through the Healthy Native North Carolinians Network, an initiative connecting tribes, the North Carolina Commission of Indian Affairs, and the American Indian Center at UNC. Beginning as a small garden behind the tribal community center, it has expanded to include a larger space down the road that grows an abundance of squash, turnips, collards, okra, butter beans, peas, cantaloupes, watermelons, and, of course, sorghum. “The last few years we’ve been fortunate to produce enough that people can come and get it free of charge,” Jacobs says. “So it gives families that would struggle if they weren’t here some security and eases their financial strain.” Tribal members can pick up the produce at the center, and there’s also a distribution network in place to help those without the means or capability to travel. “We all join together to harvest, we take what we need, and we make sure that the needy and the underprivileged get what they need,” he says. 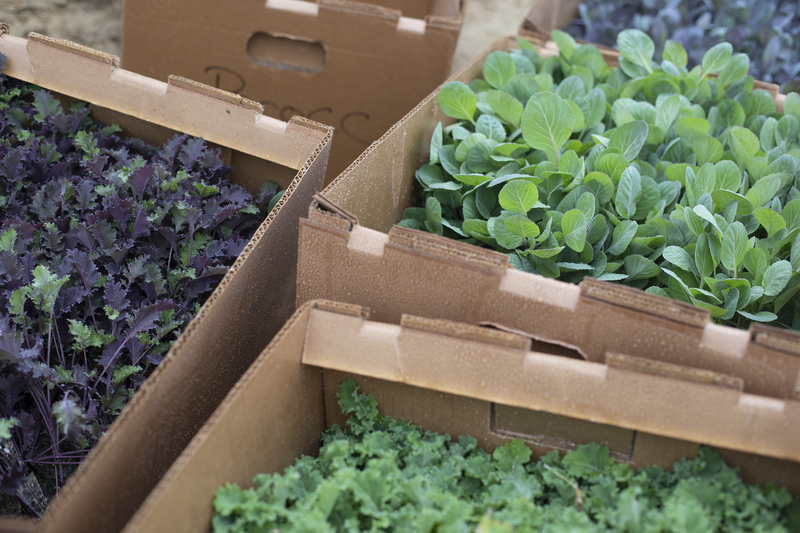 Garden volunteers have already planted thousands of crops this year including broccoli, corn, peas, mustard, spinach, beets, and onions. Many of those stories tell of hardship and oppression. Within the last century, the Coharie’s opportunities were, traditionally, restricted to agriculture, subsisting off Sampson County’s sandy soil while working 10- to 12-hour days on tobacco farms and in hog slaughterhouses. “There was very little money to spend, so they depended on the soil to give them everything that they needed,” Jacobs says. That soil gave them sorghum, a sweat treat. Coharie Tribal Administrator Greg Jacobs jokes with fellow volunteers while planting crops. But, as is the case with all gardening and farming, success depends on forces beyond their control. The hurricane knocked the power out in tribal homes for several days, putting a strain on its more vulnerable members. Many houses were damaged including a handful that suffered from major flooding. The hurricane also destroyed the majority of the sorghum crop, which was only a few weeks away from harvesting. One of the two varieties planted made it through wind and water, though, leaving enough to make syrup. Dunne helped the tribe with the harvest and, in between cutting down stalks with a machete, filmed its members doing the same. Future sorghum crops may not fare as well, though. Like much of eastern North Carolina, the low-lying homes where the Coharie live will be subject to more frequent, powerful storms and rising floodwaters due to the changing climate. This combination of factors makes life, let alone agriculture, a little more uncertain. The Coharie tribe has already taken action to save their land. In addition to the community garden, the tribe has also started an initiative to clean and restore the Coharie River, which became clogged with debris in the 1990s, when major hurricanes like Emily, Fran, and Floyd turned it into more of a stagnant swamp than running river. So far, they’ve cleared out 15 miles and plan on another 30 with the support of the American Indian Center. “As citizens and people of the Coharie River, we’ve taken it on as our responsibility to help our river to be life sustaining again,” Jacobs asserts. 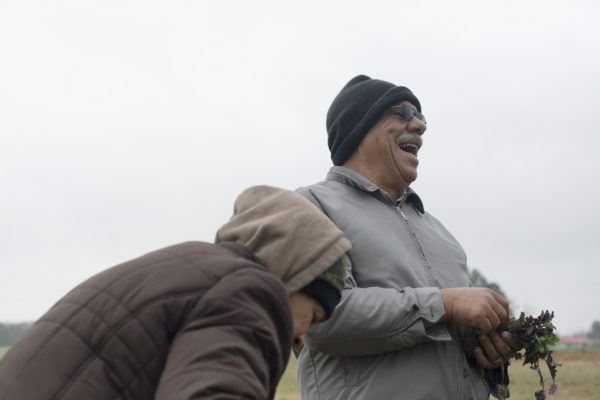 “Not only that, just as the sorghum and our community garden is medicine, we realize that that river and the spirit in that river is also medicine.” In addition to reconnecting the Coharie with a treasured part of life, Jacobs believes the initiative helped minimize the flooding from Hurricane Florence by giving the water a place to flow. In her time spent with the close-knit tribe, she’s seen countless acts of care and generosity. She recalls one occasion when she was in the sorghum garden with Chris Faircloth, the master gardener, and a woman stopped by to explain how she’d been waiting for someone to come mow her lawn. Faircloth immediately volunteered to do it himself. “Everyone looks out for each other in a way that’s just incredible,” Dunne says. As the South becomes more inclusive of its inherent diversity, the Coharie community garden represents a place of cultural identity and recognition where both members and non-members of the tribe can learn and interact with its traditions. 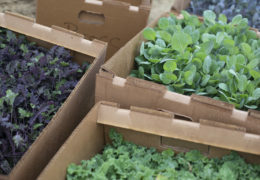 “We need to figure out ways for food justice initiatives to incorporate more than just people harvesting food in a garden — it’s about bringing this sense of belonging, compassion, and cultural celebration to something that modern-day agriculture has lost,” Dunne says. Sierra Dunne is a senior majoring in American studies and communications with a minor in social and economic justice within the UNC College of Arts & Sciences. Last summer she completed a Summer Undergraduate Research Fellowship, provided by the Office of Undergraduate Research. Greg Jacobs is the Coharie tribal administrator. This entry was posted in Creativity, Society. Bookmark the permalink.